As shown with numerous projects in the past, Olea is more than capable of creating things other than kiosks. 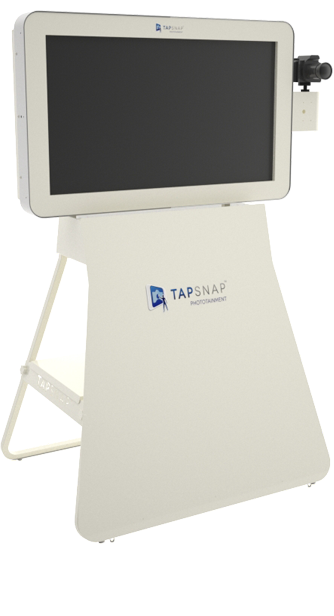 A great example is the attractive, inviting, and fully equipped TapSnap portable phototainment system. This easily portable photo booth definitely does its job of pulling in guests and providing a uniquely fun activity at social events. 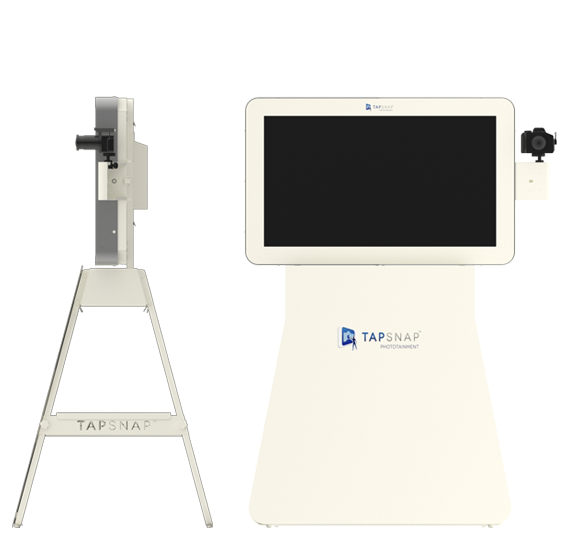 Built to be constantly moved around, the TapSnap unit can be assembled or disassembled in a matter of 15 minutes, but that doesn’t make it any less sturdy. All the pieces together can fit in the back of a standard SUV. With a large, stunningly beautiful 42” multi-touchscreen monitor, the TapSnap unit easily pulls in guests at your function with its incredibly simple user-interface and entertaining effects, modes, and graphics. The massive tablet-style computer is also capable of connecting to the internet to send photos and videos to your email or social media site. This all-inclusive phototainment system features a top-of-the-line Canon camera, capable of taking photos and recording video. The booth also comes with a full size photo printer to print 4X6in. photos to give out at the events. The possibilities are endless. 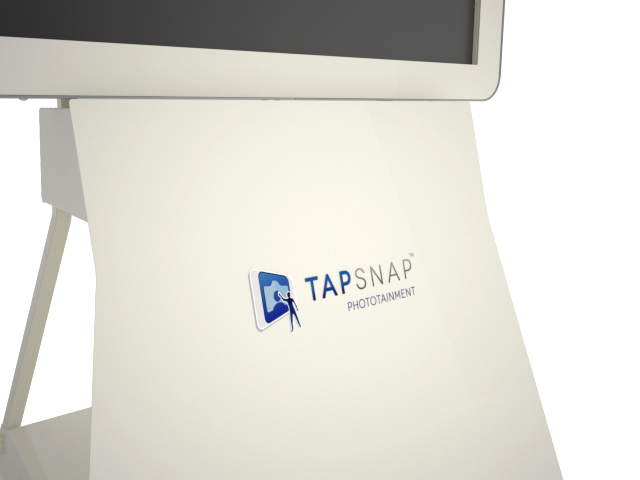 The booth was designed and built for TapSnap, which is located in Canada. They sell the units to partners looking to start a franchise with the company so that they may rent out the systems at different social events such as weddings, birthdays, art galleries, etc. Their requirements for such a unique unit included that it must be easy to clean, portable, easy to take apart and put together – while remaining a sturdy unit -, and of course, attractive. Olea accomplished all of this, and did so without driving up the price of the unit. 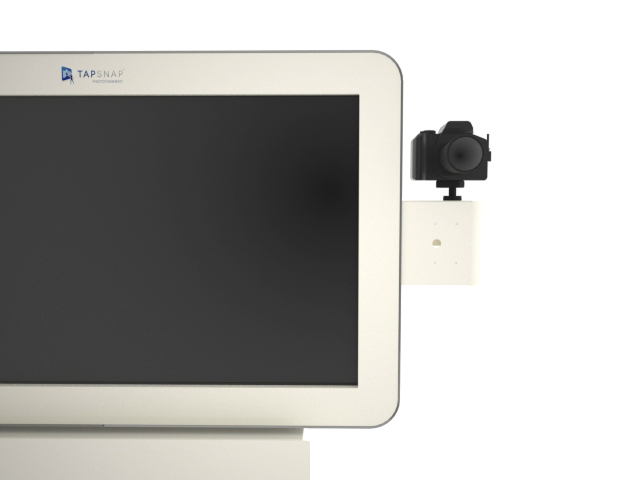 With easy “wipe-to-clean” parts and sturdy, foldable frames to hold the unit up, portability, cleanliness, and as you can see, attractiveness, were elegantly molded together into what is now the TapSnap unit. The TapSnap has been very successful since its debut. Once the quick set up is taken care of at the event, the unit requires minimal instruction to operate. Because of this, the phototainment booth has a swarm of people around it at all times, virtually becoming the life of the party. The clean, inviting, and futuristic design of the unit makes the user feel at ease, and therefore it doesn’t take long before the TapSnap is crowded with people, and full of memories. Tap the camera icon on the screen, pose, and let the fun begin. Or make your own instant movie with the video icon. Your picture appears instantly before you on the screen – larger than life. 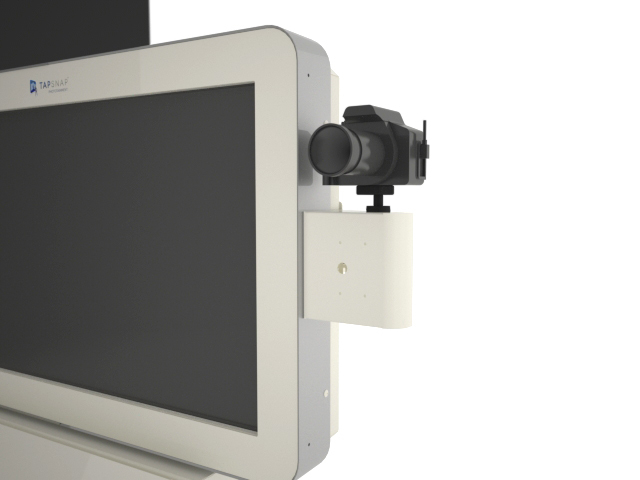 View it on a 42″ touch screen. Instantly share your photo with the world on Facebook, Twitter, and email. Customized green screens, Made-to-order digital props, Cardboard picture frames, Branded pictures digital step-and-repeats, 5″ x 7″ or 6″ x 9″ photo and collage prints, Social media wall, Red carpet and stanchions, Personalized kiosk skins and many more.